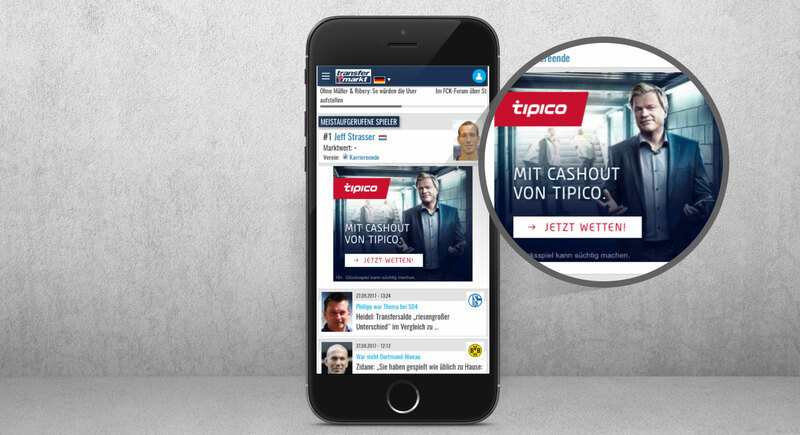 Users and customers of Tipico, Germany’s market leader, may look forward to the Tipico app cash-out feature, on the website and in the shop. The betting community benefits from the fact that profits can be paid out early, even though the final result of the bet is not yet finalized. In addition to the production of all advertising media (TV, print, digital), E2 is also responsible for media planning and purchasing. 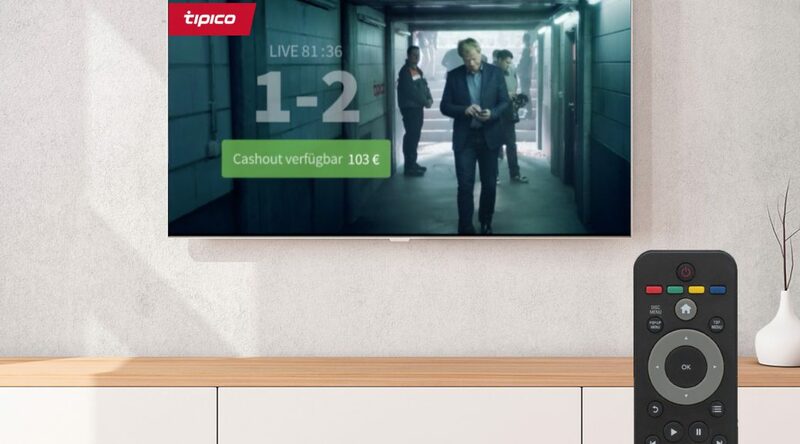 The new product campaign was launched into the market in time for the “Bundesliga” kick-off in Germany, via TV (e.g. Sky, Sport1, Eurosport, ORF), print (e.g. 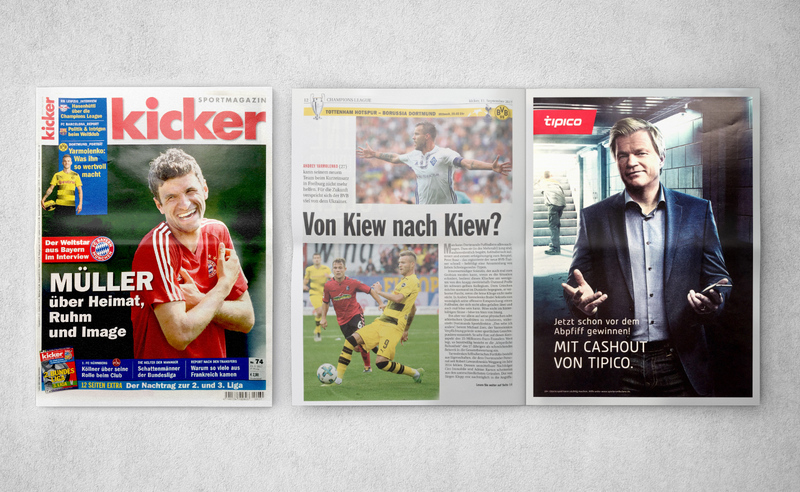 Kicker, Sportbild) and on digital media (e.g. 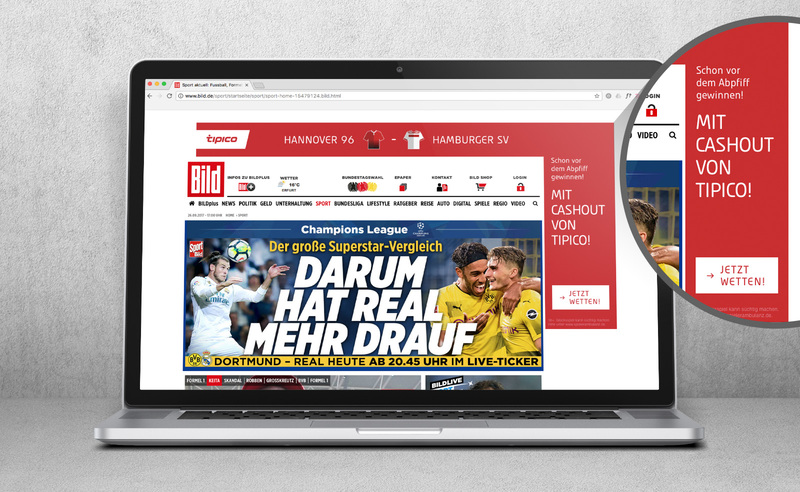 Kicker, Bild, T-Online, Sport1).